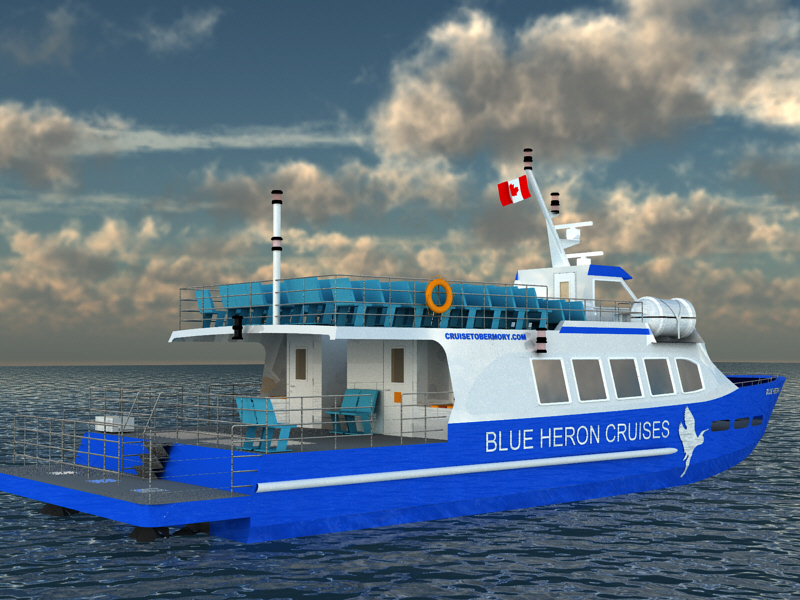 This 125 passenger, glass bottom, triple water-jet propelled boat was designed for tours around the Flowerpot Islands of Georgian Bay on Lake Huron. 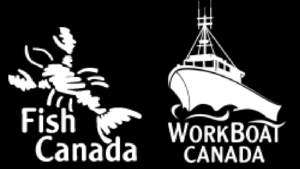 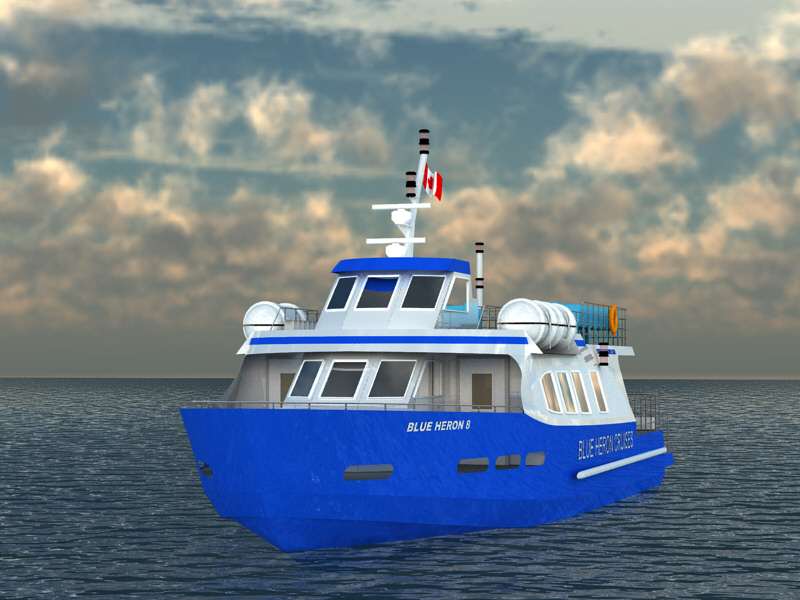 This Transport Canada approved design is now under construction at MetalCraft Marine in Kingston, Ontario. 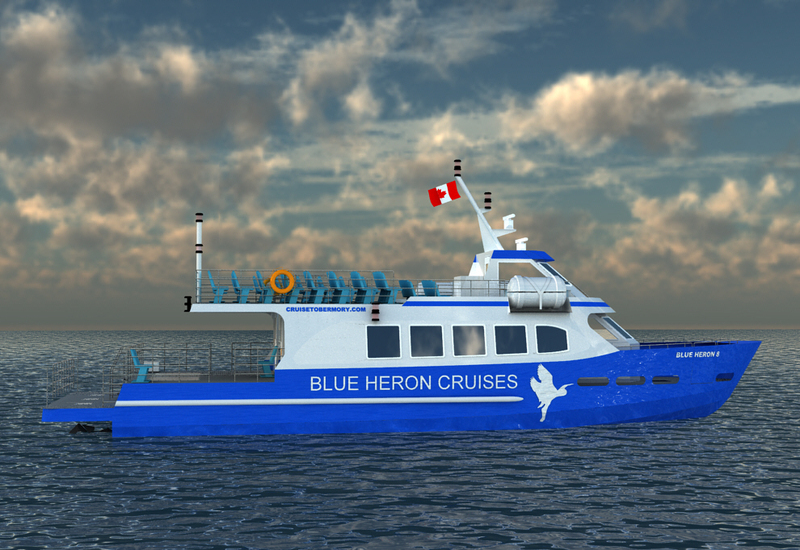 The vessel owner Blue Heron Co. has an existing glass bottom boat and an existing jet boats already in their fleet, and this vessel was designed to combine the two concepts. 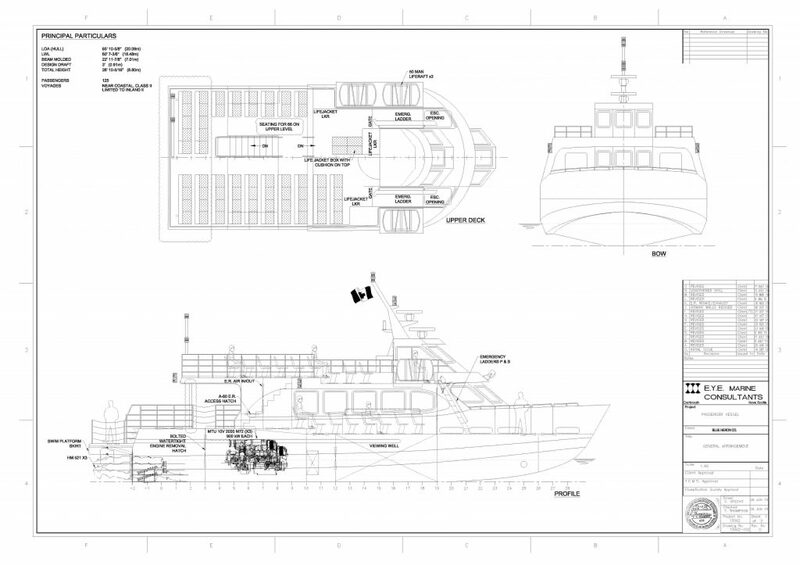 With triple water-jets and 2700 kW total installed power, this vessel is intended to cruise at about 25 knots. 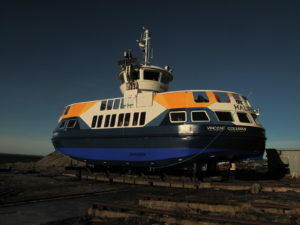 Lexan bottom panels installed into the bottom plating allow passengers to look down into the water below. 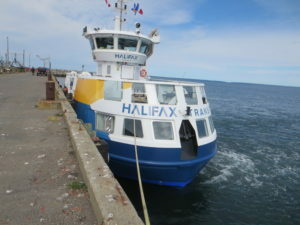 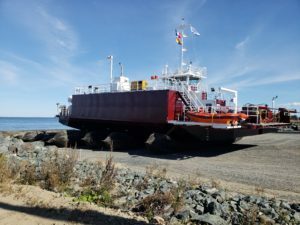 The vessel is fitted with seating for 66 on the upper deck and 44 on the main deck, and is designed to carry a total of up to 125 passengers plus 4 crew. 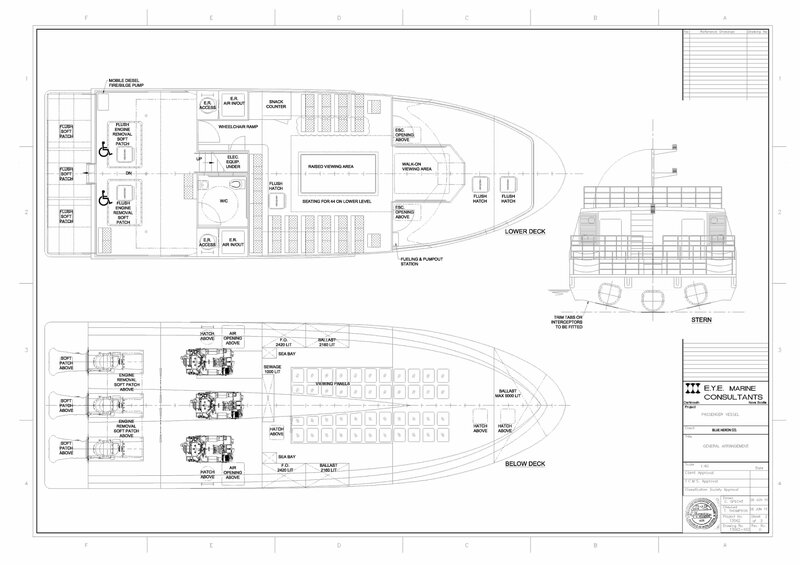 The all aluminum construction has been designed to Lloyd’s Special Service Craft Rules.